the first time i started reading about MUFE's HD makeup line, i can't stop myself from wishing that i get to have my grubby hands on them. 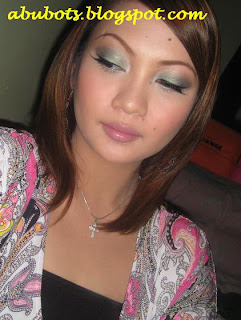 i remember seeing the loose powder and the foundation from MUFE Shangrila, but i ended up getting only the loose powder because i have MAC SFF back then (was still starting with makeup school). i can still remember (almost) harassing the SAs there because they told me that they don't have the price for it yet since the product has just arrived. after a series of calls, they finally let me buy the powder. 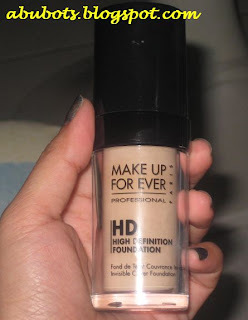 and yeah, i was STUPID for not buying the foundation too! when reviews started appearing on different blogsites, i just can't stop blaming myself for not getting one. i called MUFE and told me that like the HD powder, the foundation too has been OOS for months. ACCCCK! Relipidium: Moisturizes the skin (+46% after 4h). Fucogel: Forms a microfilm that prevents dehydration and protects against external aggression. Sericite: Enables rays of light to spread more widely, intensifying the radiance of the complexion. Aqua, Cyclopentasiloxane, Neopentyl Glycol Diethylhexanoate, Mica, talc, PEG-10 Dimenthicone, Biosaccharide Gum-1, Phenyl, Trimethicone, Sodium Chloride, Lauroyl Lysine, Dimenthicone Crosspolymer, Glyceryl Caprylate, Methylpropanediol, Butylene Glycol, Phenoxyethanol, Chlorphenesin, Disteardimonium Hectorite, Sodium Myristoyl Glutamate, Cyclohexacyloxane, Methylisothiazolinone, Sorbitan Sesquileate, Silver Oxide, Propylene, Carbonate, Parfum (fragrance), Methylparaben, Fagus Sylvatica Extract (Fagus Sylvatica Bud Extract), Hydrolyzed Yeast Protein, [+/- CI 77891 )titanium Dioxide), CI 77491 (Iron Oxides), CI 77499 (Iron Oxides). Apply directly on skin. Small quantity is sufficient to make up the whole face. Perfect and mattify application by dusting with HD powder. offers medium to heavy coverage. if i would really need a heavier coverage, i mix this with MAC SFF and the result is still great! it's matte. but for an oil slick like me, it just gives that gorgeous glow after a few hours. a little amount goes a long way. so i'm thinking that this 30ml bottle would last me looooongg. 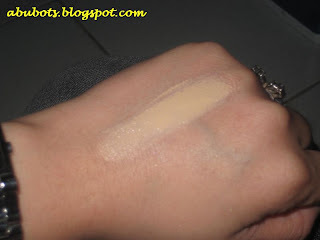 feels light and looks like second skin...your-skin-but-better kind of foundation, imho! kinda expensive (well, as compared to MAC). I bought mine in the US and it costs $40. but i must say that this is worth every cent! doesn't really cover scars or pigmentations. i would mix this with MAC SFF to really have that "heavy" coverage i need and make sure that it still has that "HD" capabilities. no spf. if it has one, then i would say that this is one hella of a foundation. 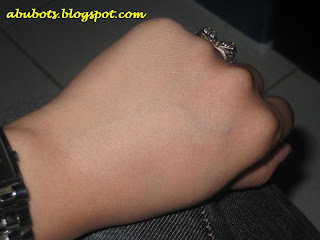 but of course, if SPF is added then there would be that whitish cast on pics. i can apply sunblock before my primer anyways, so that's fine. it gets darker on me. ugh! good thing i have another bottle which is a shade lighter, yay! nope. and that's just because i haven't even used a quarter of my bottle! 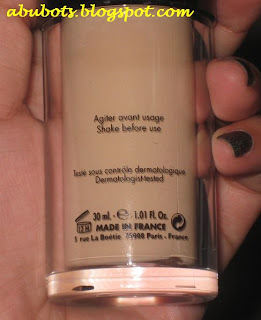 and i don't really use liquid foundation for everyday use...but if ever this runs out, i am DEFINITELY BUYING more! oh dang~ i love how that looks on you :) but it costs so dang much!! 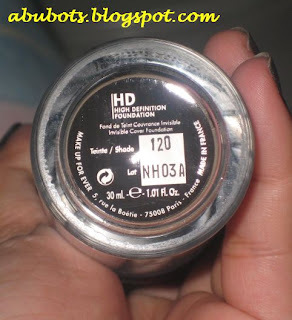 hahhaa i gotta find my HG one in a drugstore form.. or just stick to my BB. hmm..
Good review, it looks nice on you. hmm..when we saw each other, are you using this liquid foundie? it's soooo pretty and a great coverage!!! hi Little Miss Beauty Junkie, yeah the powder is so worth it! but you can also use other brands of loose powder to set the mufe liquid, but mufe makes you really look flawless in pics. imho, if you set it with MAC sf powder, it will be cakey since the latter is kinda heavy in coverage. yeah izumi it costs a lot, but it's really worth it. BB creams are good too, and besides it's not really good to wear liquid foundation everyday. I love your eyes in this! I'm a sucker for a winged lash, yours look great.